The fight for gender equality in the workplace has come a long way in recent decades, but in many industries and corporate cultures, men are still a step ahead. Women often feel the need to prove themselves as serious professionals and leaders to their male counterparts. Women can and do actively advocate for themselves in the workplace, but unless men participate, too, real change will be difficult to achieve. 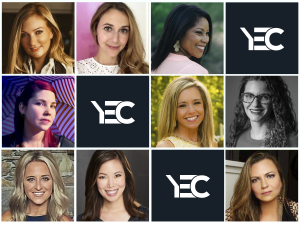 According to nine members of Young Entrepreneur Council, here’s what men can do to better support the female leaders in their organization. Members discuss a few things men can do to better support women leaders.Photos courtesy of the individual members.